Convergence - New Set Announced! 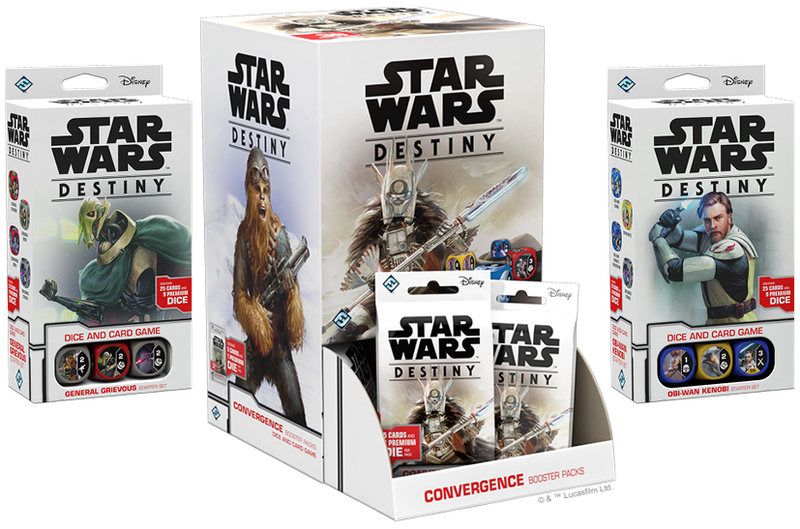 As we wrap up the Nationals Season 2018 (we still miss the Brazilian Nationals 2018) and head into the Regionals Season across the world examining all the decks that Across the Galaxy has to offer us, Fantasy Flight Games on Friday December 7, 2018 announced the 7th expansion for Star Wars Destiny: Convergence as well as two accompanying Starter Sets! Convergence will form the basis of the new cycle as the first rotation hits Destiny and while we still are to see if that's going to have a positive or negative impact on the player base, it generally seems as if players are looking forward to the prospect of some of the strongest cards in the game rotating out of Standard Format and thus only being playable in Infinite Format. Which cards are considered staple by the design team and will be reprinted from the older set in future sets? Will FFG make it two in a row and manage to release Convergence on schedule (and simultaneously worldwide) as was the case with Legacies? How will the introduction of new game mechanics fare? Why are the Starter Sets still only with 24 cards rather than 30? With Across the Galaxy they introduced the Upgrade Mods, and while I was waaaaay off in my original analysis of the potential impact of that particular feature, I'm looking forward to seeing the design explorations into SUBTYPES as well as the DOWNGRADE - X. Most importantly, make sure the rules for any new game mechanic are available together with the new set. Not knowing how a certain aspect of the game works according to the rules is frustrating (to say the least) for new and experienced players alike. Whether or not character subtypes is going to be the real deal is yet to be seen, but maybe cards that have received very little love so far will finally be due for some. Remember Stealthy? The fourth point is probably the most problematic, and Fantasy Flight Games should brace themselves for a storm! Yet again, after 2 years of experiences and 8 Starter Sets (including the Rivals Draft Set) under the belt, Starter Sets does still only feature 24 cards rather than 30 cards! It makes no sense! Just put 30 cards in ... The arguments really remain the same - and unless I missed something, there are none against! 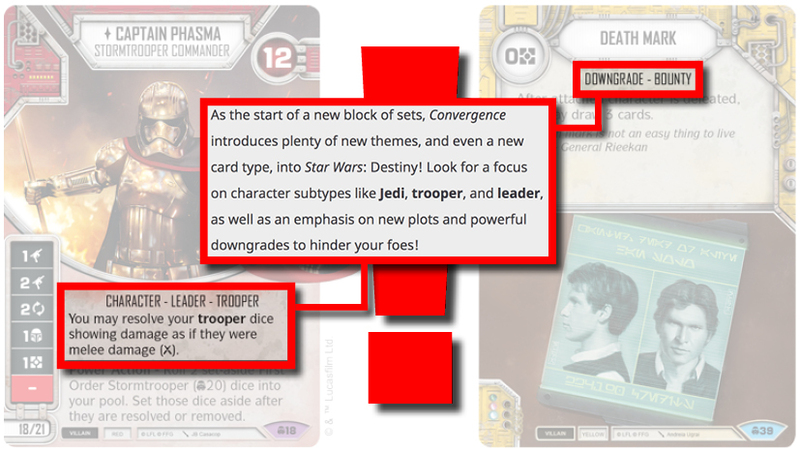 Evaluating artwork is always going to be subjective, and while I kinda fancy most of the Star Wars Destiny artwork already available, I actually think that what I've seen so far from Convergence looks pretty dope! 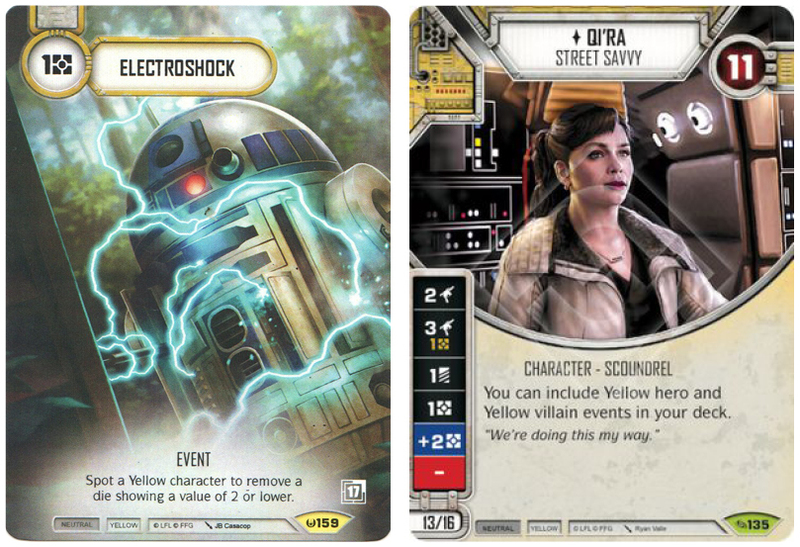 I'm particularly stunned by Captain Phasma's shiny SHINY armour, although my all time favorite remains the Alt Art work for Electroshock that was done for one of the first Q-Kits, while Qi'Ra from Across the Galaxy still makes me laugh! First off, a wealth of character were spoiled including the FIRST ORDER STORM TROOPER reprint from the Awakenings cycle. Some cards, including Flank, Doubt, Logistics, Tactical Mastery, Parry, etc. are considered staple cards and the announcement of the new set unequivocally states that more reprints are to be expected. Which then in turn means that we will NOT receive a full set of 160 NEW cards (although it might be 160 new cards or more across the Convergence expansion set and the 2 Starter Sets). The reprinting of the First Order Stormtrooper also means I get to keep playing with my alternative art FO which I really LOOOOVE! The three Hero Characters, of which SATINE KRYZE and OBI-WAN KENOBI will be included in one of the two new Starter Sets, all look pretty interesting. The development of some of the characters are quite fun to track with Obi-Wan Kenobi being a hybrid of several cards printed. We've mentioned it before, but the power creep is obvious to everyone. It's going to be difficult to give correct estimations of the 'true' power level of cards until we know exactly what will be reprinted. 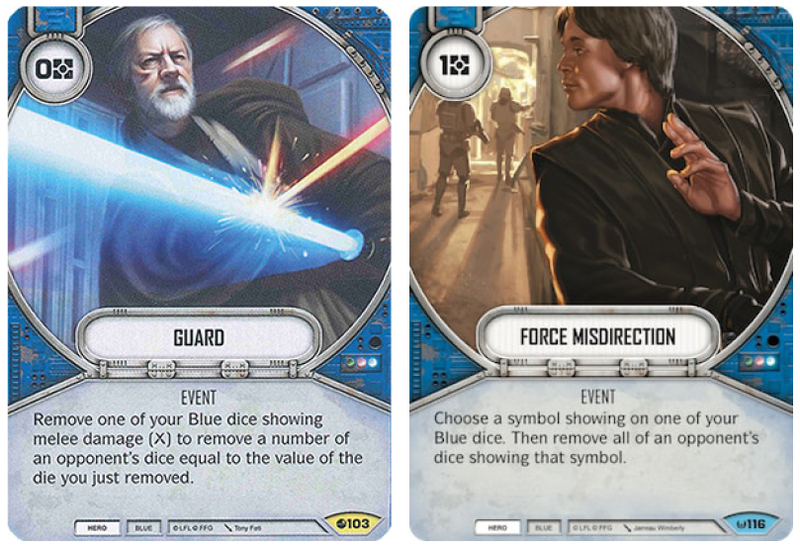 The change to the die sides and not least the cost of the character (from 16/20e -> 15/19e -> 14/18e) speaks volumes, while the final evaluation would a different one altogether if cards like Guard, Force Misdirection, etc. were to be reprinted in Convergence. Notwithstanding what cards will be reprinted, OBI-WAN KENOBI does look pretty good. He sides have massively improved with the addition of a 2 Focus side, and he will synergise well with Barriss Offee and could even be played with a single die Yoda and a negative plot for some monoblue hero action, although that's probably not where you want to go. His Power Action is pretty damn good. Because it works on any die side, but is limited to a die showing a value of 2 or higher, it feels like a Snoke Power Action but is still nowhere nearly as good. Obviously a character like Lando Calrissian comes to mind due to his 4 Resource side and two inherent 2 Damage sides, while vehicles like Shadow Caster, Millenium Falcon, etc. also looks pretty terrifying with Obi's Power Action. He does feel overcosted, although giving you a search ability similar to that which allows Rebel Engineers to search for mod upgrades. With a fairly weak die, even with the 2 Focus, he still kinda seems out of focus. There might be a space for him in a single die build where he will serve as a "support character" searching for upgrades. As it doesn't have to be weapons, maybe we'll have to be patient and hold our breath for a new Chance Cube style of card (guess, that's not going to happen!). Mace Windu comes along with his Lightsaber, which looks pretty decent for a 3cost upgrade even if it doesn't have Redeploy, but we are accustomed to that for unique upgrades (with a few rare exceptions). The Power Action does allow you to utilise it twice the round it is played, which can be pretty broken if you can find the right shell for it. 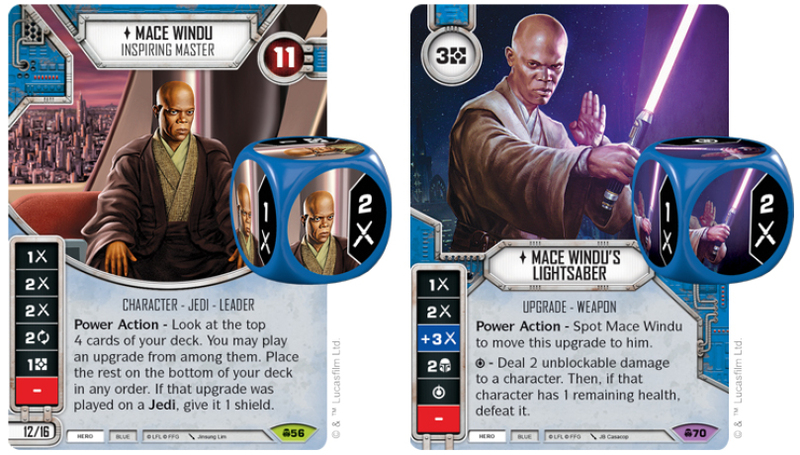 The Mace Windu's Lightsaber Special is currently "just" 3 unblockable damage, which is pretty good, but the wording could indicate that we are going to see other effects that can support it (and similar cards). Maybe a character pairing with Luke Skywalker - Reluctant Instructor and using cards like Steadfast as well as both Lightsabers and Force Abilities could be in the books. Seems like a lot of work for little output, but with rotation in the near future we might need to reset our minds a bit. I really like SATINE KRYZE, who fills a design space similar to that of Rebel Engineer and L3-37, and to some extent also podracing Anakin Skywalker and could be our direct replacement for Maz Kanata, who's going to rotate out. Satine even comes with more health than the comparable characters and have a pretty decent ability. 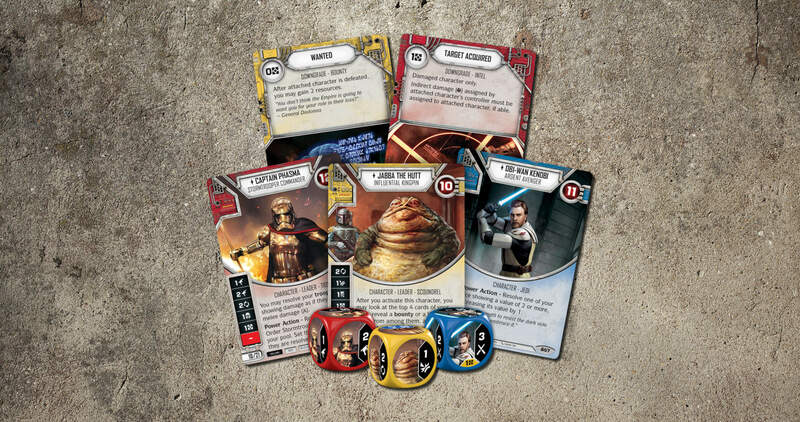 In Star Wars Destiny the cheap support characters seems to be where the real action is, even though the new Downgrades - Bounty is a nice mechanic to try and curb their power (more on that later). 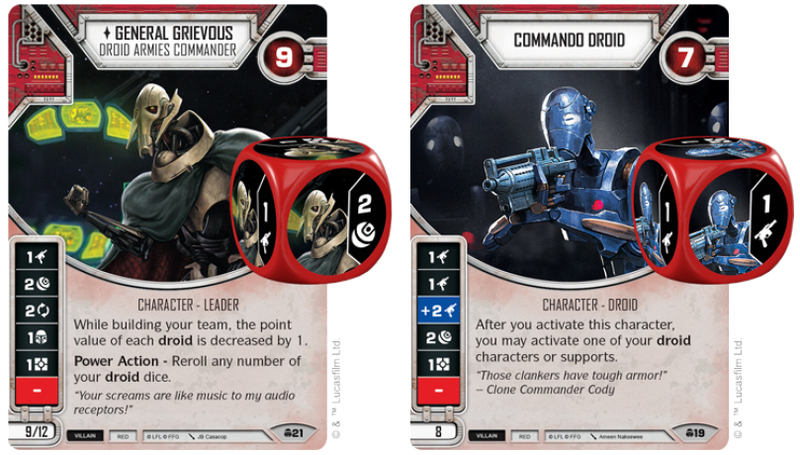 GENERAL GRIEVOUS was spoiled together with the COMMANDO DROID as the content of the villain themed Starter Set, and I'm pretty excited for both, and luckily you get two Commando Droid in each Starter Set! Grievous does look pretty sweet though. He's pretty squishy, but has a great ability that affects several cards already in the game, and his Power Action looks sweet as well. Some mad man is of course going to field Grievous and 4 Battle Droids - worst thing is it's actually not even going to be that bad! Damn ... those Focus sides are just everywhere and they get bigger - BIGGER! You get a 2 Focus for 9 points, not even Maz Kanata could muster that kind of power! Consistency is really the key to Destiny. Removing as many traces of variance is going to be the shibboleth of any deck constructor going forward. 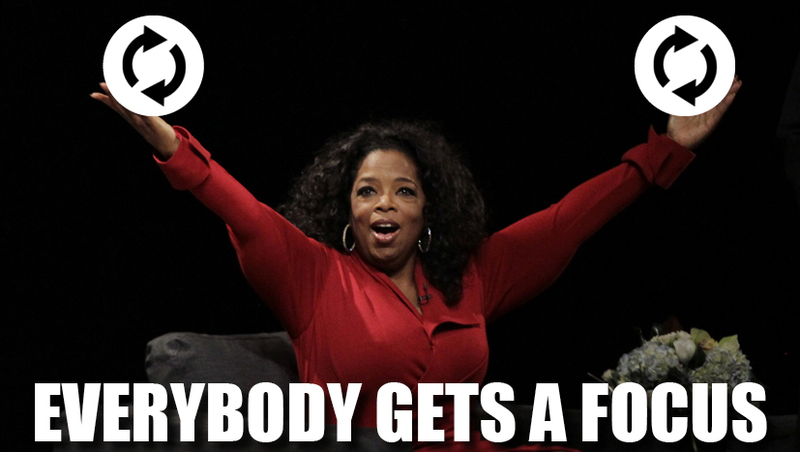 I'm totally for it! Well done FFG! She does make both your First Order Stormtrooper and Veteran Stormtrooper ridiculously relevant and consistent, especially adding in the new Advanced Training Plot, and her Power Action is pretty potent, but ... hot damn ... 18/21e ... MAN! You can of course always pair her up with Snoke for what would functionally be a 5 dice start, and I'd assume that Snoke's Power Action would work on any of the 3 dice rolled by Phasma, but finding that sweet spot seems somewhat difficult. I'll reserve the right to put her on the sideline for now, although it pains me! Jabba the Hut is as iconic to Star Wars as Darth Vader, and personifies the villainous character of outlaws! In the Awakenings cycle he was one of my favorite characters, at some point during the period of time when you couldn't find Awakenings cards in stock anywhere he was also one of the most expensive ($$$), while he was probably one of the WORST characters printed in Across the Galaxy, and it would seem as if he has been redeemed in Convergence. He is costed as a true support character and has a pretty decent die somewhat reminiscent of Unkar Plutt who will be rotating out of Standard. His ability follows the search mechanic pattern of Rebel Engineer and in Convergence also Mace Windu, allowing him to search your top 4 cards for a Bounty or an event and add it to his hand. I'm still to be fully convinced that Downgrade - Bounty is a strong design space, and my immediate reaction is that it will be in the periphery of deck design. The ability to add an event to your hand though is pretty awesome! That could seriously affect the reliability of your draws! I'm pretty convinced Jabba the Hutt will be good. If you can find something to pair his +2 modified Resource side with, it can be really broken ... and, yes, you're right ... he does come with a 2 Focus side. EVERYBODY else and their cousin does, why not Jabba. SIDE NOTE: In the Awakenings expansion the only characters to have a 2 Focus side were Admiral Ackbar and Padme Amidala. It certainly is a different game now! If everybody is special, then nobody is special ... yeah, I know, our moms told all of us we were special ... we weren't! The exploration into Plots continue in the Convergence expansion, and while we gained some of the most broken Plot cards in Across the Galaxy (Yes, Armored Reinforcement, I'm talking about you!) the two that have been spoiled for Convergence so far look pretty underwhelming. Any plot naturally have to be evaluated in the design space of other 2 cost plots and also what it prohibits you from getting (in terms of the lost character points). ADVANCED TRAINING looks like the most useful, and could potentially be good, if you can find a proper character shell, whether it is villain or hero based. Making sure that you always get value out of your dice is pretty cool, but 1 Indirect damage per character die is just not THAT crazy. 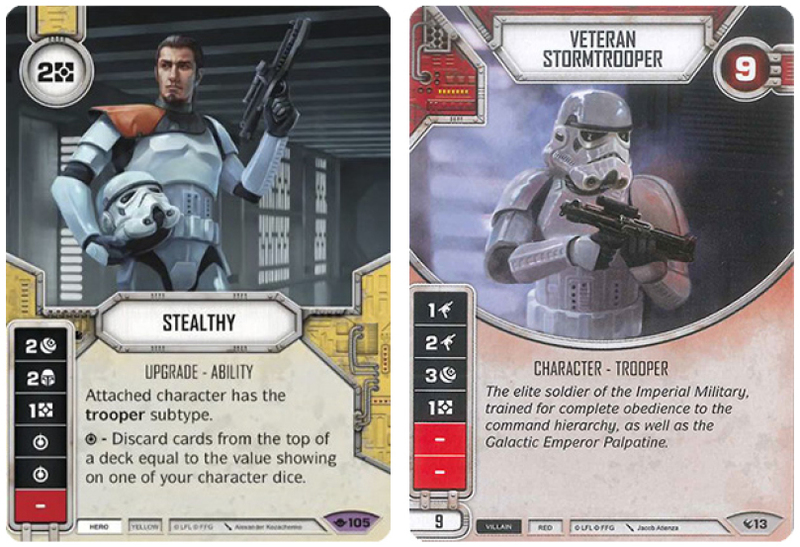 After rotation (in Standard) it will be limited to: First Order Storm Trooper (villain), Veteran Stormtrooper (villain), Iden Versio (villain), Mandalorian Super Commando (villain), Executioner (villain), Clone Trooper (hero) and Rex (hero). FORCE FLOW at a glance looks like CRAP! Like, really C R A P! Paying 2 resources to turn a die seems waaaaaay too weak. Nobody plays Use the Force, a few Concentrate and Alter. They do the same thing and cheaper (or better). Only reason to play this would be that you NEED a specific die result turn 1, and you cannot afford to not get that die result! In any other scenario this feels like pure garbage. Although I allow myself reservations in regards to the newest design space and game mechanic, the DOWNGRADE - X, I'm quite amused by it, and find it super thematic! Putting bounties on your opponent's characters and benefiting from it when they are defeated! AWESOME! There would be some fantastic "campaign style" possibilities in the game here! It also seems like a cool way of making sure that bringing low health support characters is not without risks for you (and rewards for your opponent), which can be exploited by cards that allows you to target several characters at once, i.e. Boushh (who's incidentally also a bounty hunter), Umbaran Hover Tank, Force Wave, etc. From a purely competitive point of view though, I'm more doubtful. 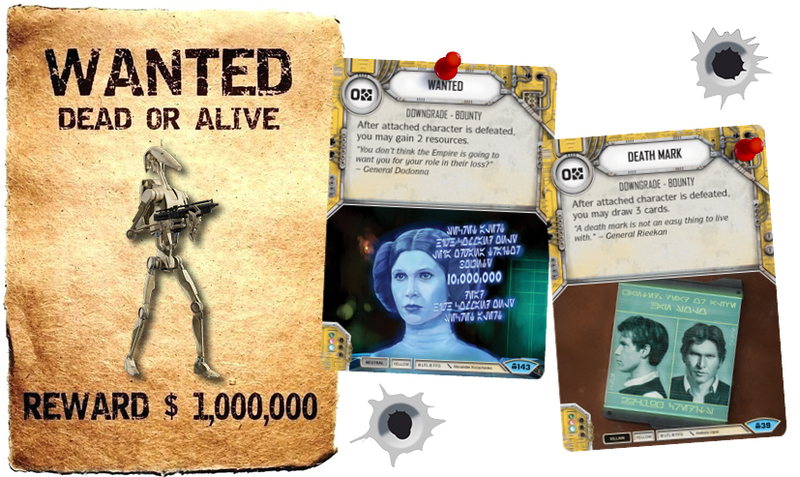 Sure, if you slap a WANTED, DEATH MARK and WOUNDED on a Battledroid, he's fairly easy to kill and will earn you 2 resources and 3 cards, which seems pretty decent, but that's just the beginning of your problems. Sure, the Bounties are designed to work with Jabba the Hut, that is a given, but for them to work in character pairings outside of him requires other ways of finding the Bounties, i.e. Tutors similar to Start Your Engines or Lightsaber Pull. Is the reward worth it though? In a game where it is already so easy to draw cards and find resources, is it really worth it also adding the condition of having to kill a character first? Before killing off the idea completely though, let's see what other Downgrade - Bounty cards the expansion has in store for us. More should be coming! 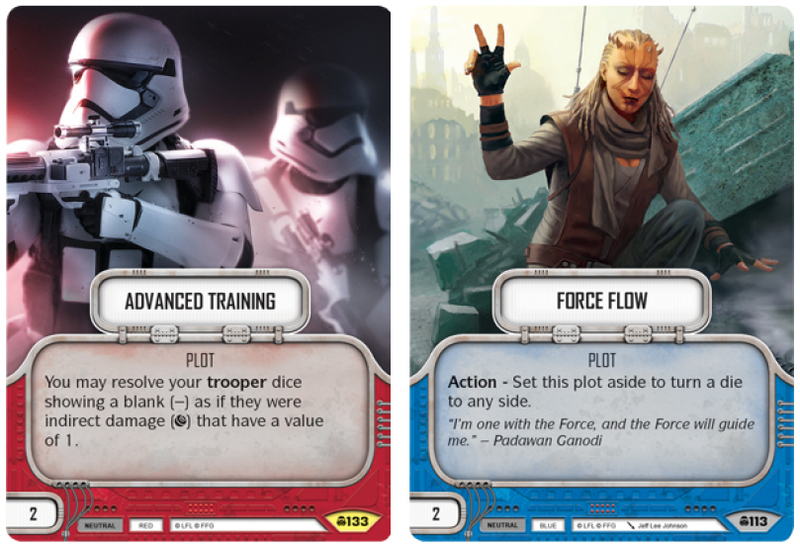 The FFG spoiler article says release in the first quarter of 2019, which sounds promising as it is likely to hit the streets before Worlds 2019 (IF we get a date confirmed at some point). With the release of Across the Galaxy, Fantasy Flight Games finally looked to get their business in order with releases, and that is HUGE! I'm pretty excited about the characters spoiled with Satine Kryze a favourite of mine so far and am looking forward to rotation and what it will bring to my favourite game!